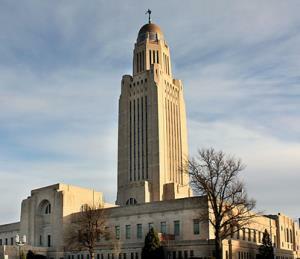 Legislative Bill 14 introduced into the Nebraska Legislature was withdrawn and replaced with LB 594 by Sen. Carol Blood. The original Bill followed the form of the Missouri Act that requires any product labeled as ‘meat ‘to be derived from an animal. The new legislation adds a clause to the state’s existing Uniform Deceptive Trade Practices Act. This establishes as a violation any commercial activity to "advertise, promote, labels represent, illustrate, display, for sale, offer for sale, attempt to sell, or sell an insect-based, a plant-based, or a lab-grown food product as meat. EGG-NEWS has previously commented on erosion of market share of milk by substitutes. With daily announcements of improved plant-based meat substitutes beef packers and industry associations are searching for “protective walls” to entrench image and maintain volume. The liquid segment of the industry is vulnerable to substitutes as evidenced by non-egg products offered to the baking and food manufacturing industries. State legislation to regulate and restrict language on labels is legally questionable and unproductive from a consumer promotional standpoint.